This Dynamic Power 3 in 1 multi-functional submersible aquarium filter is a compact and very efficient filtration system if you have a small to medium aquarium/pond. This 600L/H model suits tanks of up to 50L and the ease to use it will impress. The filter provides the 3 essential functions that your aquarium needs: filtration, water circulation and aeration. 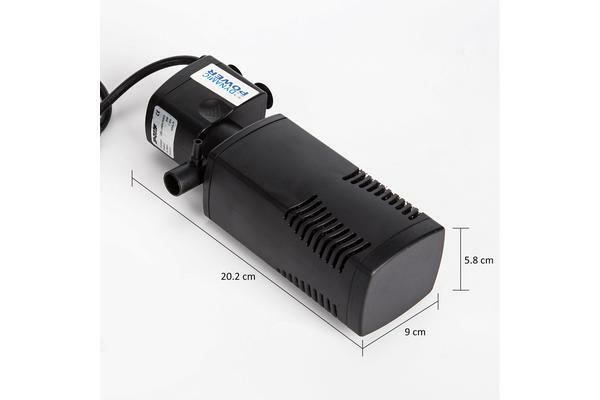 The biggest advantage of using this multi-functional submersible aquarium filter is that it is compact so you save a lot of space inside your tank as well as around it. 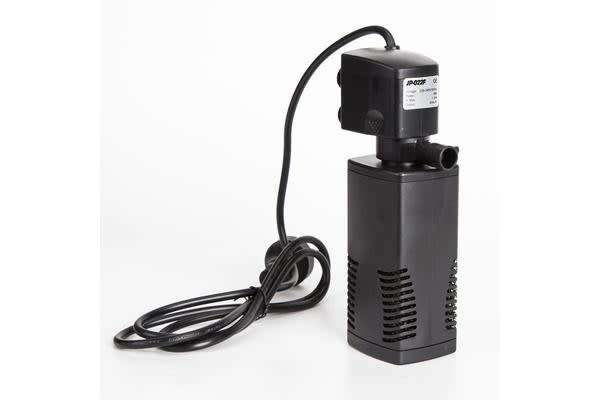 You do not need to use external air pumps, water pumps and filter because this is all in one. It is very easy to assemble and it is ready to use in just a few minutes. It is also very energy efficient and its simple yet efficient design allows you to save time when doing your routine aquarium maintenance. It has a built in biochemical sponge and this gives excellent mechanical and biological filtration performance. It is easily replaceable too! The outer shell is made of high quality ABS which is strong and durable. It is waterproof and it is very well insulated. There are suction cups so you can easily attach the filter inside your tank horizontally or vertically. 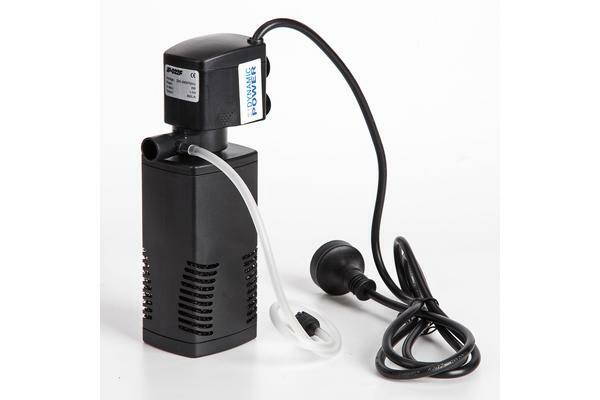 It comes with an air tube to help increase the oxygen levels of your aquarium. This also control water and oxygen circulation so it helps even out these two essential elements in order to create a healthy environment for your fish, plants and other aquatic pet you may have. The axle and motor is made of high quality stainless steel and ceramic so it is acid and corrosion proof. This makes it suitable for both fresh and salt water! If you are after a simple, energy efficient and reliable filtration system for your tank, do not miss this opportunity and grab one before it is gone!